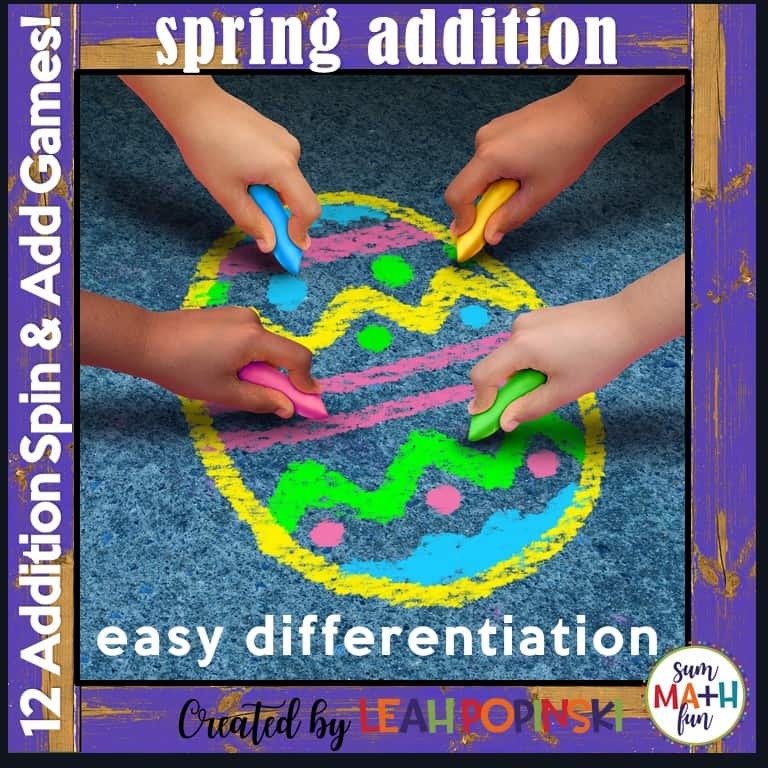 Just print, grab some counters, paper clips, and pencils and you are ready to go with 12 spring activities for rotations, centers, math workshop, and stations! These are so easy to differentiate with simple directions that you only give once for all the games. Directions are also printed on each game board so that you can send them home as “homework” for a fun way to review and practice addition facts. Those parents who love working with their child will L-O-V-E YOU for sending this home! These games are also great as an assessment to know who needs help with which facts. Then assign different games (facts) based on students’ success. Game boards practice different facts from adding just one to adding twelve more. ► Also in Black and White! 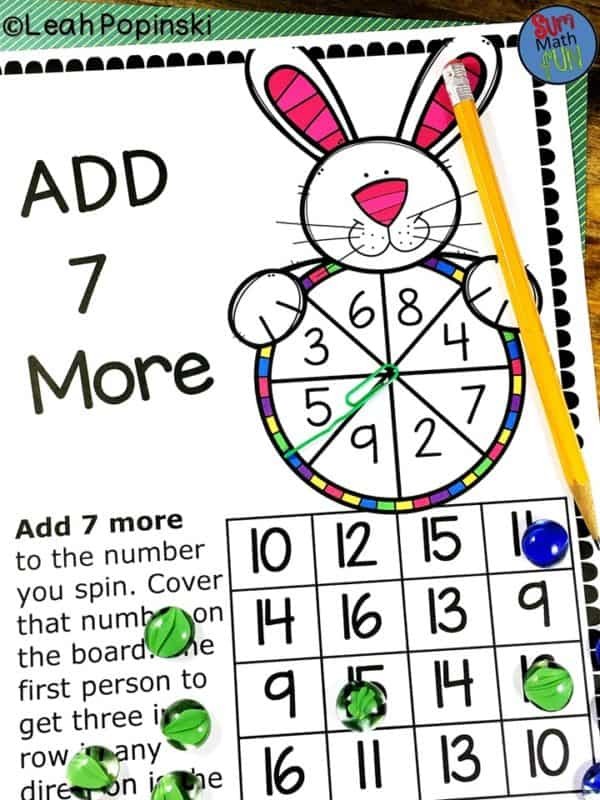 ► Easy, simple set up for you ✎Fun for kids ✎Effective for both! ►Just print, laminate or use sheet protectors, and use year after year! 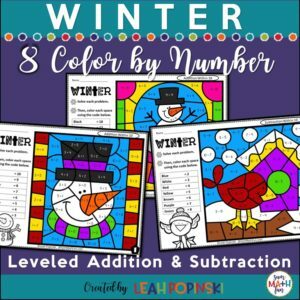 ✋Looking for more engaging fourth grade activities?! Check out these popular resources! ❤️ Thank you for purchasing, downloading, browsing, following and inspiring! I hope this resource brings a bit of inspiration your way! If you find anything in this packet that needs to be reworked or might work better for your students, please let me know and I will be happy to rework any activity/packet that you have purchased to fit your needs.